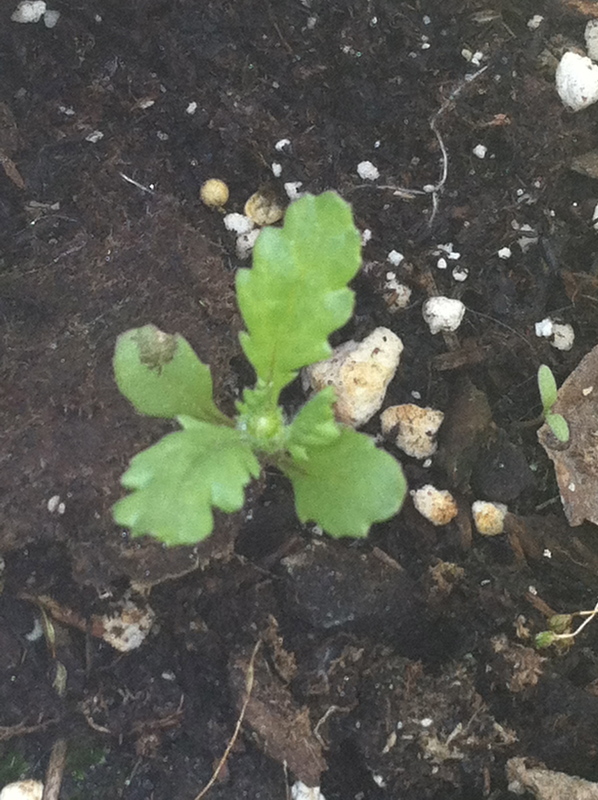 Not cilantro as it should have been, but common groundsel. Don’t try to fool me with your toothed leaves–I can totally see you’re sending up flower buds already. April showers bring fruitful foraging! It’s been a while since I had a foraging-themed post, but a lovely trip through Redwood Regional Park in Oakland with JYL and TC two weekends ago yielded some good material. JYL has a fantastic foodie blog (willblogforfood), and she’s posted a nice slideshow of all our various wild food sightings that you should check out, with some great pics from her macro lens. To recap some highlights, we saw berry plants in abundance (thimbleberries, red-flowered currants, blackberries, and wild strawberries), but while the strawberries, blackberries and currants were in flower, nothing was yet in fruit. So stay tuned for a follow-up post when we make a return foraging trip to collect those guys in June. Bay trees were everywhere, some in flower. We saw lots of mustard, and gathered some greens from that, and quite a few young fiddlehead ferns. A few things that I was certain we would see, some of the guarantees of California wild food, were surprisingly absent: namely fennel, wild radishes, and oxalis/sorrel (even though we went to Redwood park specifically because I was sure we’d see redwood sorrel! We found it in a random yard instead). Since I’ve posted about all those things before, no harm done. 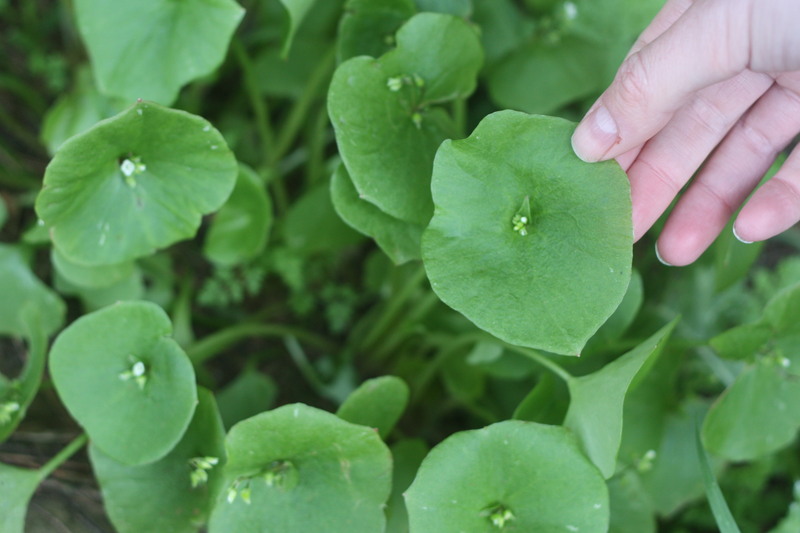 The highlight of the foraging was probably miner’s lettuce (Claytonia perfoliata, also sometimes called winter purslane), which was rampant along the side of the trail. Miner's lettuce, Calytonia perfoliata. The large, round, single leaves (bracts) with small white flowers in the center are unmistakeable. Photo courtesy of Jen Lee at willblogforfood. I grew up eating its distinctive, spinach-like leaves (actually bracts, to the botanists) as a kid, but in San Diego and Riverside counties they were usually the size of a quarter. After the bouts of late rain we’ve had this spring, the bracts at Redwood park (and also all around Stanford), are nearly the size of my palm. They also have great texture–delicate and juicy just like young spinach, but with a milder flavor. I gathered a large ziploc full of the stuff, and brought it home to try out on my husband, who turned out to be a big fan. 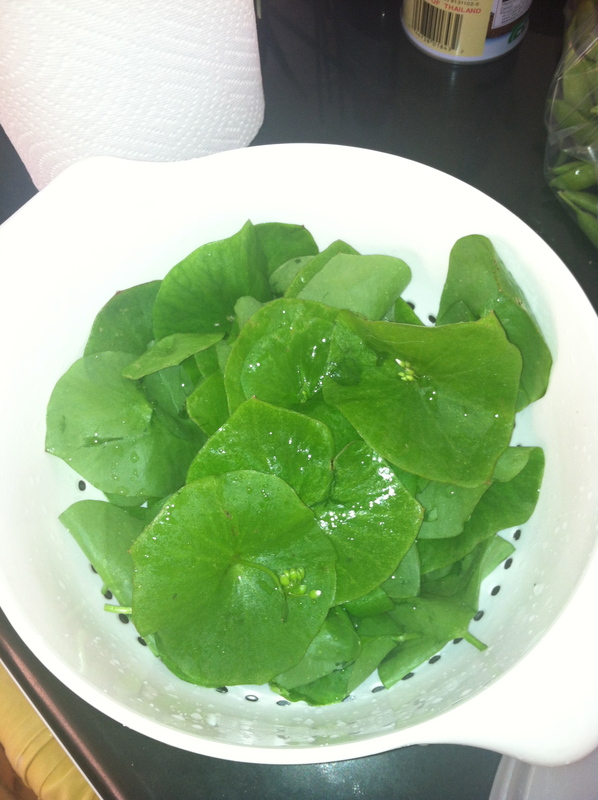 Miner's lettuce washed and ready to eat! Miner’s lettuce is easy to recognize as a plant: the round, cuplike bracts emerge singly from the basal rosette on long stems up to 10″ long, and centered on the top of each bract is a small stem bearing a little cluster of white flowers (the true leaves are thin and triangular, and hide out in the basal rosette at the bottom of the plant). The whole plant is edible, but under rare conditions they can accumulate toxic oxalates, so as with any wild plant, after positive identification you should eat small amounts first until you know how it will make you feel. I’ve eaten lots of this stuff from several counties across California, and find it to be one of the most palatable and reliable raw wild greens. It’s high in vitamin C–the gold rush miners for whom it’s named ate it to prevent scurvy. Miner’s lettuce favors damp places with high to intermediate shade and poorly drained soil. Roadsides in shady areas are a good bet, or in moist back yards. We separated the bracts from the stems and washed them thoroughly, and used them in place of lettuce in a couple salads and also in chicken tacos. There’s still a huge amount of miner’s lettuce growing around campus right now, so I plan to bring home more while it lasts. 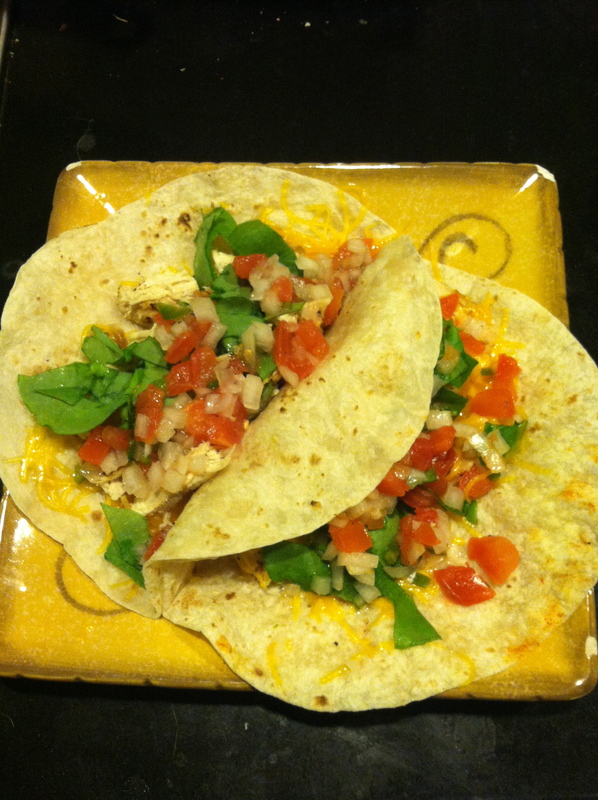 Chicken tacos with cheese, homemade pico de gallo and miner's lettuce. Delicious! I spent a lot of my weekend looking at clusters of three heart-shaped leaves. You may have done the same, possibly (just possibly) in the company of a Guiness or something similar. And in the course of all that shamrock-ogling, I became slightly vexed that the shamrock’s officially recognized botanical representative is Trifolium dubium, the common suckling clover. Dubium, indeed. Its leaves are dinky, and they’re not even consistently heart-shaped. 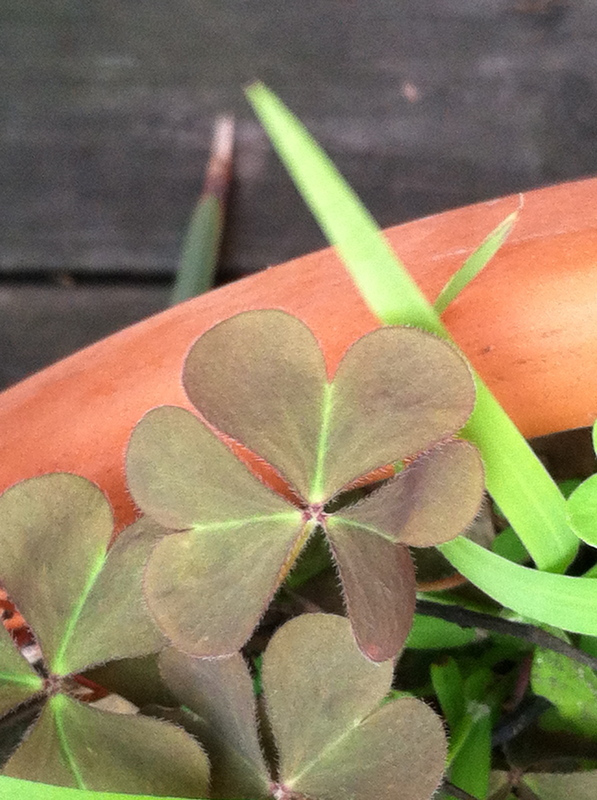 So for your consideration, I hereby nominate the various species of Oxalis (wood sorrel) that are overtaking my yard as shamrock alternatives. 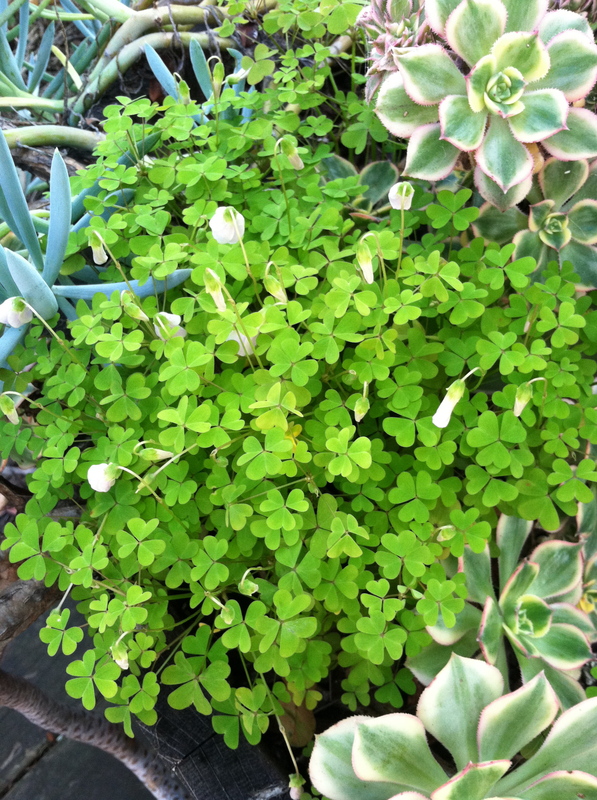 White Oxalis purpurea (this guy was planted, the rest are wild). The leaves are perfect hearts, but kinda small. Oxalis pes-capre, or Bermuda buttercup. You might remember these from "Roadside edibles on my run." They're really more notable for their fluorescent-yellow flowers. Oxalis stricta, yellow-flowered oxalis, sometimes sports reddish leaves like these, bringing a little variety to all that green. 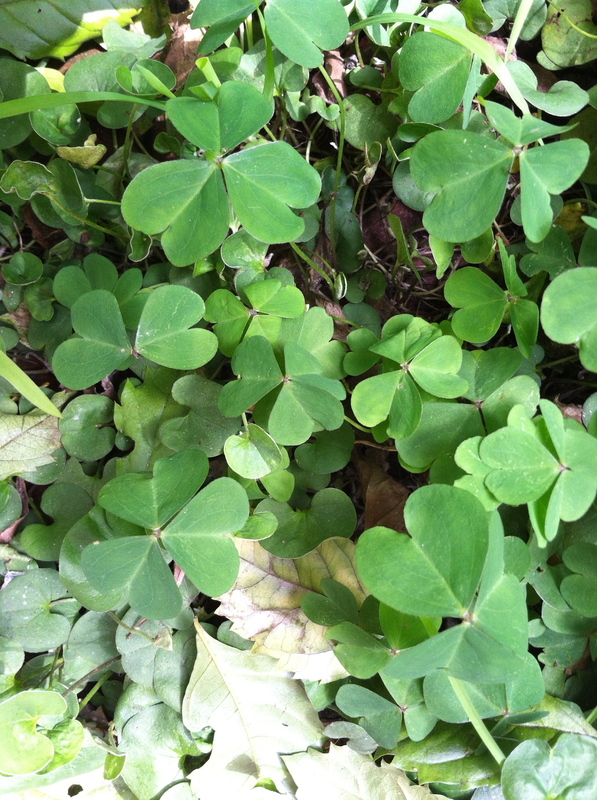 And finally, Oxalis oregana, redwood sorrel, whose leaves are the size of a silver dollar. 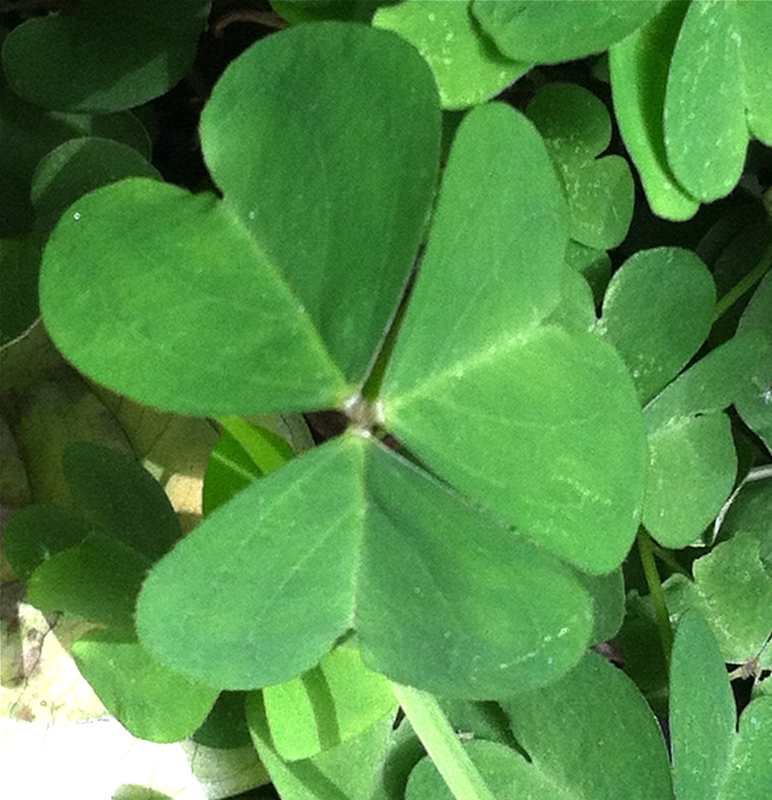 Go ahead and tell me this isn't more like what comes to mind when you think "shamrock" than some dopey little clover. By February I am generally fed up with the cold and flu season, and this year is no exception. Our household has been hit hard by a cold/bronchitis 1-2 punch, and we’ve been single-handedly keeping the makers of Ricola and our local Pho (Vietnamese chicken soup) shop financially solvent for the last few weeks. Two book reviews: Edible and Useful Plants of California, and Nature’s Garden. Last weekend I got two books about edible plants and foraging, and after having a chance to give them both a good perusal, I’m excited about each of them but for different reasons. They’re actually nicely complementary: some of the weaknesses of one are strengths in the other. This is a longish post, so here’s the take-home message for the impatient: I’m really glad I bought both, but if I had to recommend just one, I’d go for Nature’s Garden. 1) Edible and Useful Plants of California. Charlotte Bringle Clarke, 1978. The first thing worth noting about this book is that it’s older than I am, which means it’s been around for a long time and has been followed by a couple generations of foragers; in fact it’s one of the references for the second book I got. Since all the same plants are available now as in the 70s, the publication year isn’t really an issue–it isn’t as if the content has gone out of date. Solid field guide to local foodstuffs. Sadly, the photos on the cover are a sizable fraction of all the photos in this otherwise excellent book. 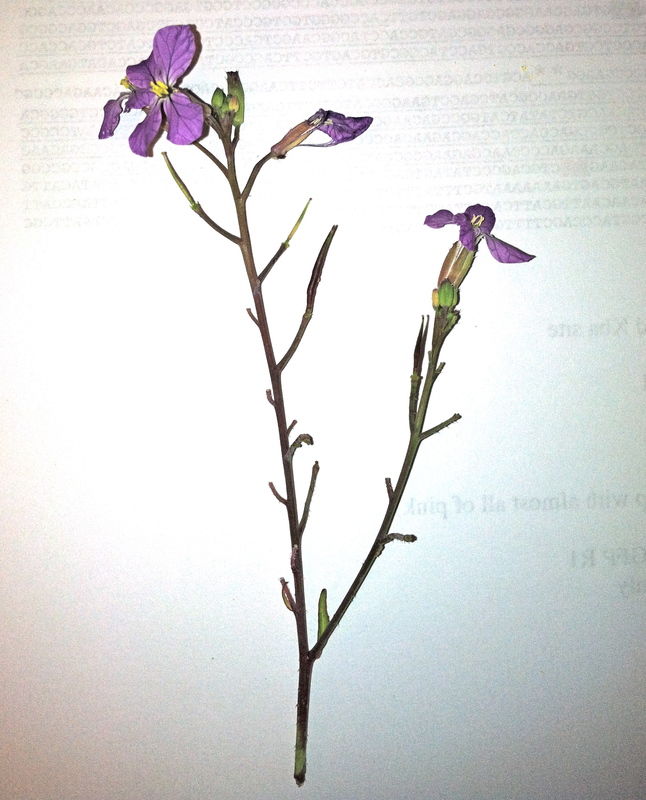 -Regional specificity and completeness: All the plants are found wild in California, and there are many, many entries. All the wild CA plants I’ve highlighted so far (manzanita, nettle, fennel, radish, etc) are in there, and I’ve been delighted to find that quite a few plants I recognize are in there that I never knew were edible. Field trips galore! -Organization: She’s broken the book down into sections by type of location (mountains, coastal, urban, etc. ), which will be handy for foraging. -Recipes! For more than half of the plants mentioned, there’s a recipe given, and sometimes there are several. I’m already looking forward to fennel seed cookies, fancy nettles with bacon, oxalis lemonade, and a few dozen more for plants I’ve only ever eaten raw, or have never tried. -Preparation and harvesting tips: It’s quite clear that she approaches plants with food in mind (as if the title and recipes weren’t a giveaway). She’s conscientious about highlighting which part of the plant is edible and how to prepare it. -Glossary and index: there’s a very good section about nomenclature for different parts of plants. The index is sound, with entries for common name, Latin/binomial name, and use. -Physical size: this is a little book: about 5×7″ and less than 200 pages long. Easy to put in a pocket (well…maybe for guys) or bring on a backpacking trip. -Pictures. There are a handful of photographs on the front cover and a few pages of smallish photos in the center of the book, but otherwise all the plants are represented with line drawings (or in some cases, no picture at all). This is insufficient for gathering unfamiliar plants: you have to be absolutely sure a wild plant is what you think it is before you eat it. Between things like iPhones and Google images, this is not a crippling limitation: once you know what name to look for it’s easy to find lots of pictures. But you couldn’t just take this book off into the woods and be able to tell whether you have wild carrot or poison hemlock. -Look a-likes (or lack thereof): many of the plants that are listed look similar to other, less palatable or even poisonous plants, and there’s very little attention given to what an edible plant could be mistaken for, and how to discriminate between possibilities. There’s also little attention given to the pitfalls of particular plants: elderberry is delicious to some people, but can cause bad stomach aches in others, and should be sampled cautiously. Cow parsnip is huge and can feed an army…unless you’re allergic to it and break out in blisters if you handle it. -Organization: apart from breaking the plants down into regions where they grow, the entries seem pretty haphazard. This is not such a problem because the index is good. -Historical info. There’s quite a lot of discussion about which Native American tribes used the plant and for what. Because I’m mostly interested in the book as a food guide, this isn’t so much a plus for me, but it may be for others. -Other uses: if you want plants to make into cloth or bowls or boats, you can use this book for that, too. Uses for plants other than edibility are given in many cases. 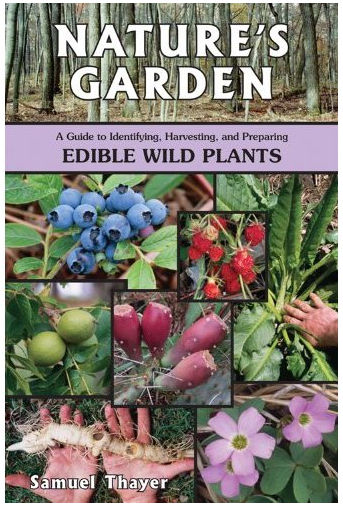 2) Nature’s Garden: A guide to identifying, harvesting and preparing edible wild plants. Samuel Thayer. 2010. The cover has a fair sampling of the breadth of content: Blueberries, walnuts, prickly pears, oxalis...so many delicious things described with lots of pictures, careful thoroughness and a handful of funny stories. -Pictures!! There are many large photographs for almost all of the plants described. In most cases he’s been careful to include pictures of several different parts of the plant, so you’ll have a clear image of the root, stem, leaf, flower, and fruit. -Thorough harvesting tips. There are over 20 pages on acorns alone: which species taste best, how to choose fresh acorns from old, how to spot weevil holes, several methods for how to crack them, grind them, leach them, dry them…it’s very complete. If I wanted to get into eating acorns, I could confidently use this book to get me from tree to bread. For all the plants in this book, he’s pretty conscientious about detailing which part to use, when it’s best to harvest, what differentiates a tasty example of the plant from a less-tasty one, and what tools to use to collect the best parts. -Look a-likes: this is stellar. For plants with dangerous look a-likes, he’s put in a ton of side-by-side pictures of each part of the plant, and binary guides for telling which is which. I think anyone could confidently tell wild carrot from poison hemlock with this book. 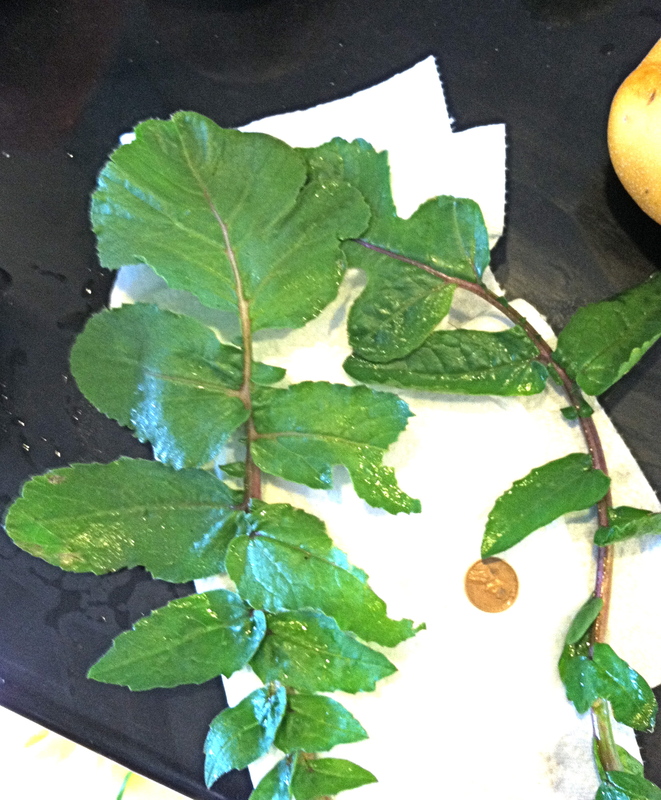 Amazingly, I found out that something I’ve been avoiding my entire life, thinking it was deadly nightshade, is actually edible black nightshade. Even for non-hazardous look a-likes there are helpful rules given for telling them apart: for example there’s a multi-part guide to telling apart all the edible members of the asteraceae family (dandelions, wild lettuce, chicory, salsify, etc). -Glossary and index: like Clarke’s book, this book also has a very good guide (with pictures) to the names of plant parts, a glossary of all terms, and a good, cross-referenced index. -Limited content. The trade-off for covering each plant in such awesome detail is that there just isn’t room to cover that many plants. 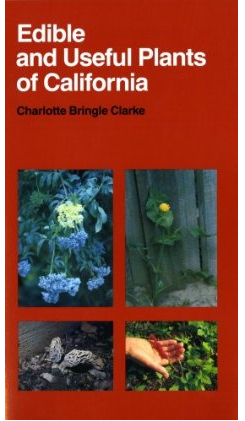 I think there are about 40-50 edible plants mentioned, while I know there are actually many more than that in California alone, thanks to Clarke’s book. -No geographical partitioning. Samuel grew up in the Midwest, and all the plants he introduces can be found there, but only 75% can be found in CA. Apart from giving this overall percentage of how many of these plants are found in each state, and general environmental preferences for each plant, he doesn’t usually really clarify which plants can be found where. -No recipes. Lots of detail on which part of the plant to pick and what kinds of food it’s good for (flour, cooked greens, seasoning…), but no real recipes. -Physical size: it’s a bit bigger, maybe 7X9″–so it would totally fit in a backpack but not a pocket. Whew! Ok. That was a lot of words, but I hope you find them useful. If anyone wants to get together for a foraging trip and try these books out I am totally game! Yesterday we took our dog to his favorite place, the Point Isabelle dog park, where the wild mustard and radishes are in full flower and the ground is currently soft enough to gather roots. 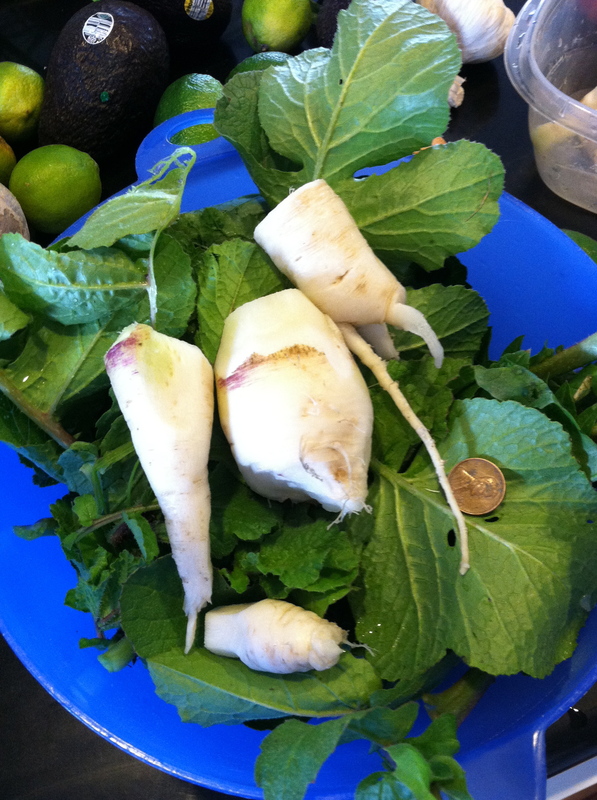 The radishes were so appealingly enormous that we hauled up a handful of them, and brought them home to sample. 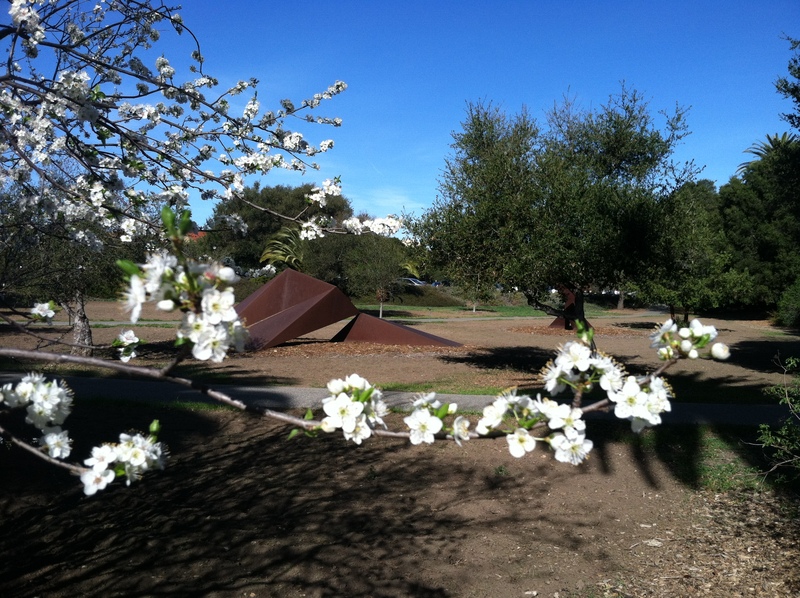 Since the bay area is liberally strewn with radishes right now, you might want to do the same! 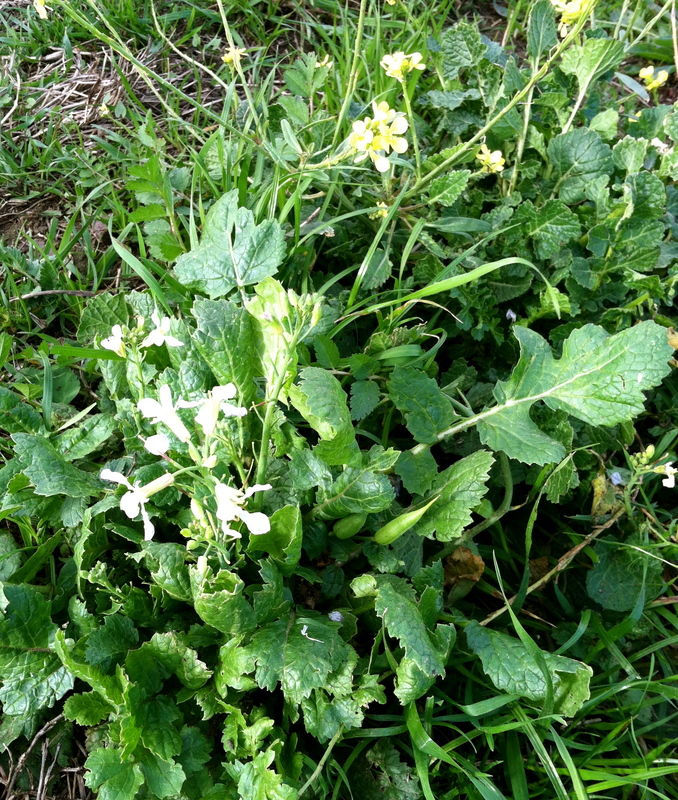 Radish (R. sativus, foreground, large white flowers) and mustard (background, small clustered yellow flowers), growing wild at Point Isabelle. The ripe pointed silique (seed pod) of the radish is visible in the center of the picture. Radish flowers can be purple, white, pink, or yellow. They grow singly or in small clusters, which is one way to tell yellow radish flowers from the more heavily-clustered flowers of mustard. Another difference is the siliques, which are young and thin on this radish, but still much larger than those of mustard. -Don’t eat the ones that have started to flower. The roots will be tough and fibrous. The root should snap with a nice crunch when you chop or break it. -look for radishes with one whorl of large leaves (not a whole clump, which signifies an older plant), and take a look at the root underneath before you dig it up. It should be smooth and white or pink–not woody and dry, although some good roots look dry on top, so peek down under soil level. We found some very nice large radishes with appealing leaves and roots growing under the protection of fennel plants, so that might be a place to start. Radish greens that are good for eating, from a plant with a nice big healthy taproot. -wash and scrub them extremely thoroughly when you get them home. I even peeled them with a carrot peeler. -break off the long tendril-y root tip. It’s too fibrous to enjoy. -If you plan on eating the greens (which are good if you like bitter greens; similar to beet greens), choose evenly-colored leaves, make sure you wash each leaf thoroughly, look for and remove any bad spots, and remove the stems. The best (and biggest) of the radish greens and roots we collected. I followed this recipe from food and wine magazine for roasted radishes and greens. The roots were very good cooked this way–it cut the spicy isothiocyanate flavor, and gave them a nice crisp-tender texture. The greens were good too, but a whole bowlful of bitter greens turns out to be a bit much for me. Definitely good side-dish material. 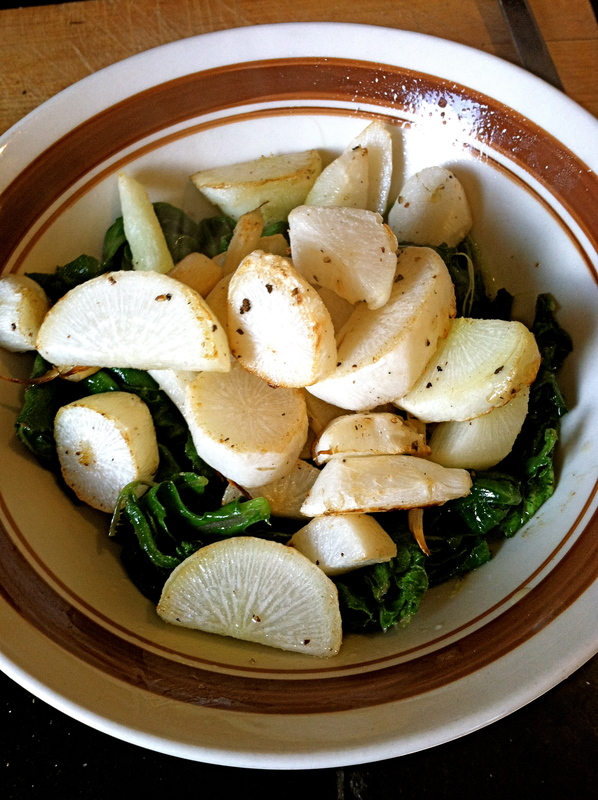 The finished product: roasted radishes and radish greens. Very tasty!